Home > Bluetooth > KOKKIA iM10 Multi-Stream (Black) Tiny Bluetooth iPod Transmitter for iPod/iPhone/iPad PLUS 2 EDR Bluetooth Stereo Headsets (Music and Voice). Local volume control of iPod/iPhone/iPad will change the volume at the headsets. 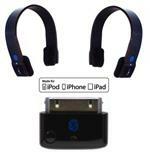 iM10 offers the unique innovation to wirelessly share your iPod/iPhone/iPad music concurrently with 2 persons. There are no similar solutions available in the market today. Elegant solution with no unsightly wires. From the stereo headsets, any one of the 2 headsets can remotely control the iPod/iPhone/iPad: pause/play/next track/previous track. Transmitter is an elegant Tiny device, the smallest Bluetooth transmitter for iPod/iPhone/iPad in the market. 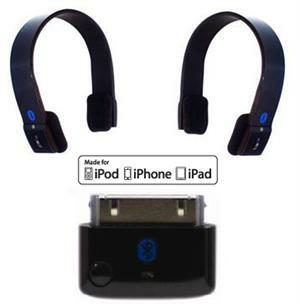 The 2 Bluetooth Stereo Headsets are the latest fashion Bluetooth Stereo headset, that works for both Music and Voice. Stereo headsets (Music and Voice) have integrated micro-phone and re-chargeable battery. Battery charging is via an included USB charger. Your friends and colleagues will be envious with this multi-stream solution. 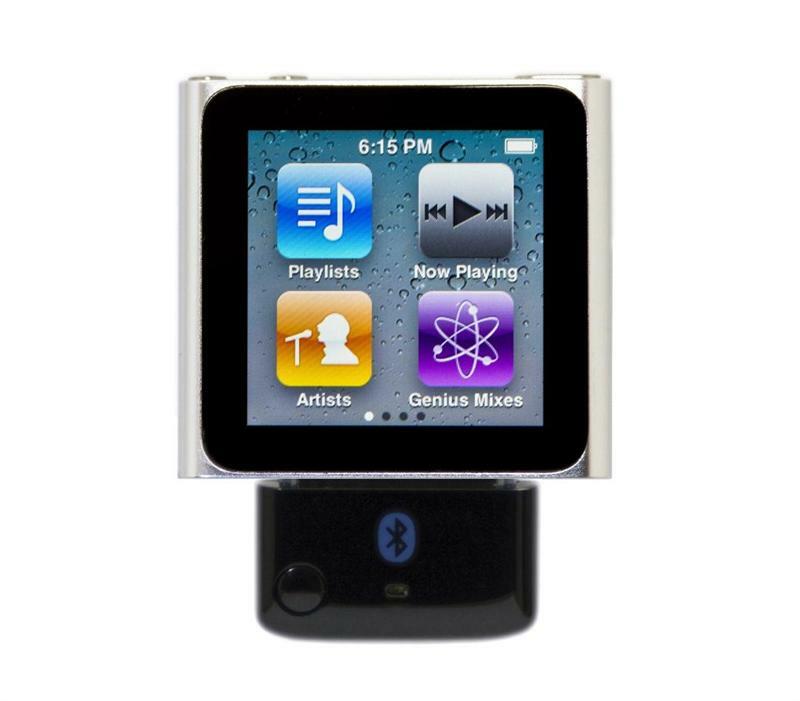 Works with iPods, iPhones, iPads, including latest generation 6 iPod tiny nano, iPhone 4, iPad, iPod Touch, iPod classic. 2 (Two) EDR Bluetooth Stereo Headsets (Music and Voice), with USB charging cable and User guide.